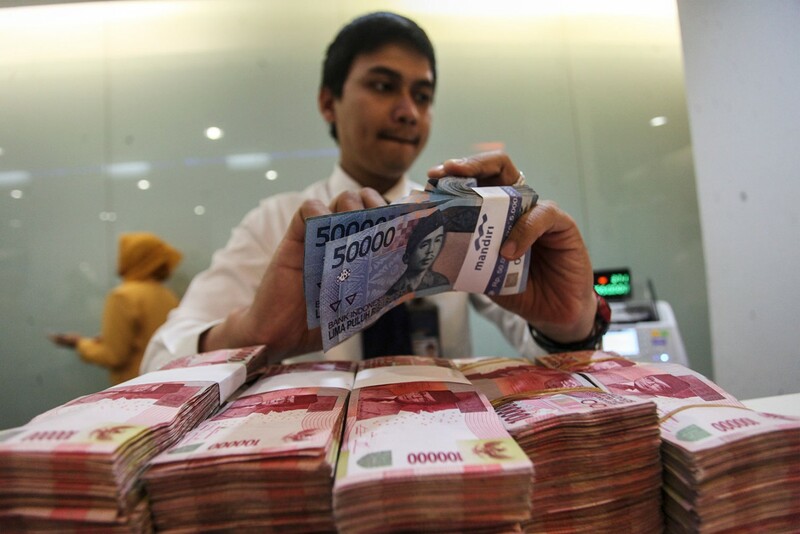 The financial services sector has yet to become a main engine for economic growth, but it has the potential to do so, according to joint research from the National Development Planning Agency (Bappenas) and Parahyangan University. While Indonesia has seen its credit productivity increase, stakeholders lack a comprehensive understanding of the sector, hence the sluggish loan disbursement in recent years, the study says. “Indonesia is facing a huge challenge as its financial services sector is not strong enough to influence economic growth,” said Leonard VH Tampubolon, the Bappenas deputy minister for the economy, in a recent seminar in Jakarta. The study calculated that, for every 1 percent of economic growth, the country needs an additional 10.85 percent in credit growth. Based on credit disbursement alone, this would mean that Indonesia needs to book credit growth of 23 percent in order to achieve overall economic growth of over 6 percent. The Financial Services Authority (OJK) estimated that loan growth would reach 13 percent this year, slightly higher than the 12.45 percent it projected in 2018. About five years back, annual loan growth was at about 20 percent on average. Economic growth, meanwhile, was just below 5.2 percent in 2018, according to the state budget. The government is slightly more optimistic about reaching this year’s target of 5.3 to 5.4 percent in growth. “The financial services sector is crucial for achieving the economic growth target in the future as it finances investments. Therefore, bank and non-bank financial institutions should deepen their roles,” said Leonard. The research with Parahyangan University in Bandung, West Java, is part of Bappenas’ preparation for its 2020-2024 National Medium-Term Development Plan (RPJMN). The institutions studied credit disbursement in 33 provinces and how it correlates with the economic and financing disparity between Java and the rest of the archipelago. In 2017, Jakarta disbursed the highest amount of credit to the business sector at Rp 1.31 quadrillion (US$93.9 billion), followed by East Java, West Java, Central Java and Banten. Miryam BL Wijaya, one of the researchers, acknowledged the government’s efforts in boosting the role of financial institutions in the economy by involving them in distributing cash assistance through programs like the Family Hope Program and the non-cash food assistance program. “However, the beneficiaries tend to cash out the money shortly after receiving it […] this excludes them from being customers of the financial services,” said Miryam, an economist at Parahyangan University. She also cited a 2017 research study by the World Bank and global database firm CEIC that showed Indonesia as having the lowest ratio of financial sector-to-GDP movement among ASEAN countries, excluding Laos. According to the 2017 study, Indonesia’s M2 rate was measured at 39.88 percent against its GDP in 2017, much lower than the 155.22 percent and 132.67 percent in Vietnam and Malaysia, respectively. An M2 rate is an indicator that combines cash, checking deposits and “near money”, also known as non-cash, highly liquid assets. As of the third quarter of 2018, Indonesia’s M2 decreased to 38.62 percent, Miryam said. However, she was confident that it could potentially double to over 62 percent. “That is why we emphasize that the capital market has to play its role alongside conventional banks in providing financing [...] The demand to increase credit disbursement is not borne by banks alone,” she said. The main strategy to boost funding from financial institutions is to ensure steady growth in the real sector, including manufacturing and micro business, she said.